Know your Scotch – become a Malt Whisky Connoisseur. Too much emphasis is often placed on the age of the whisky and the distillery in it was produced. Every distillery has the potential to produce fine and not so fine malt whisky. To be classified as Scotch Malt Whisky it has to have been matured for a minimum of 3 years in the cask. Many distillers though will mature their whisky for a lot longer, usually around 10 years before they’re satisfied with the quality to release it for sale. During the maturation period there is a complex interaction between the oak wood and the alcohol with the alcohol drawing out many of the oils and other components of the wood to create Scotch Malt Whisky. Up to 60% of theses vital ingredients can be drawn out after the first maturation of scotch malt whisky. During the life of a cask it’s easy to see that the wood can become quickly exhausted with the whisky produced from subsequent maturations being of a lower standard. If a tired cask is being used to mature whisky in it doesn’t matter how long the spirit is left in it to mature, the resultant whisky will lack quality/flavour. There are things that can be done to help rejuvenate the cask but the original qualities are never fully achieved. The majority of malt whisky sold is the product of a number of casks ‘married’ together (up to 100), some good first refill/generation and some not so good 3rdor 4threfill/generation. 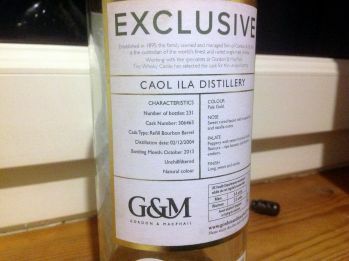 On the bottle label you should be looking for the whisky being single cask and 1stor 2ndrefill/generation. You should be looking on the label for the words “unchillfiltered” or “non chill filtered” and the ABV should be 46% or more. If the whisky is below 46%ABV it’s a sure sign it has been chill filtered. Presuming the spirit is being matured in a quality cask, the complex interaction between the wood and the spirit is a slow one. The harsher flavours of the whisky are softened over time and so the age of the malt whisky is an important factor in the quality of the final product though whisky doesn’t necessarily always continue to improve with age. Generally you will be looking for a minimum of 10 year old whisky. 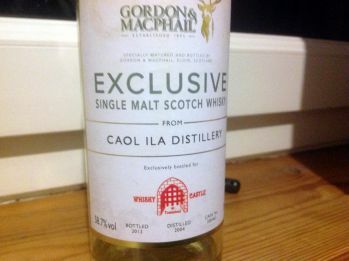 Generally its independent bottlers who deal in high end malt whisky and available through specialist whisky shops. ……. to name a few. 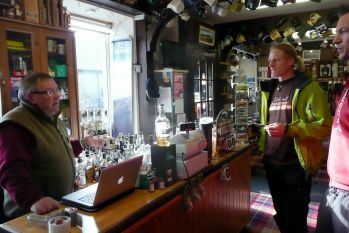 The Whisky Castle, Tomintoul is an independent whisky store with 500 malt whiskies listed online. They specialise in independently bottled, non-chillfiltered, non-caramalised, single cask, single malt whiskies. Whisky month2014 – join Scotland in a month-long celebration of our national drink. Whether you’re a whisky novice or a whisky connoisseur, there’s something for everyone to do, including our Mountains and Maltstrip. Whisky trail – Follow the world-famous Malt Whisky Trail through Speyside to seven working distilleries, including a fascinating cooperage and a historic distillery. What is Burns night and who is Rabbie Burns? What is Hogmanay? Why is Hogmanay a big deal in Scotland?